My mentor Lance loves analogies. He could compare teaching photography to teaching salsa, using studio lights to driving cars, shooting to fishing, farming and hunting, and the list goes on. My favourite analogy is one where he compared getting a good photograph to striking a jackpot on a slot machine. What Makes a Good Photograph Anyway? So what makes a good photograph in the first place? There is no easy answer since we all have slightly different tastes in aesthetics. A good portrait for someone could be one where the light is soft with little shadows, an expression that conveys joy and happiness, a framing that is tight and emphasizes on the facial features, a background that is plain and simple. On the other hand, someone else might prefer a harder and more dramatic lighting, a more pensive expression, a looser framing, a more colourful background. It’s okay to differ about what exactly makes a good photograph, but we can all agree that a photograph that is good to us is a result of many variables falling into place. In the example above, the variables could be lighting, expression, framing and background. There can be, and there usually are many more variables in a portrait—the eyes could be brightly lit or in shadows, the exposure could be too bright or too dark, the pose can be natural or unnatural—but you get the idea. Each of these variables represent one of the many reels that is constantly spinning on a slot machine, and only when these variables line up to our standards of aesthetics do we get a photograph that we really like—a good photograph. 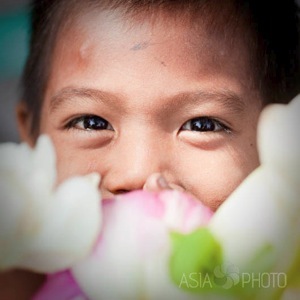 Boy in Ayutthaya, Thailand, 2009. Commissioned by AsiaPhoto. The bad news is that these variables usually change more quickly than we think they do. A soft light could become a hard light in the next minute when the cloud moves away, a beautiful smile could be lost in the second that you’re focusing your shot, your framing and background will change from shot to shot unless your camera and subject are completely still. 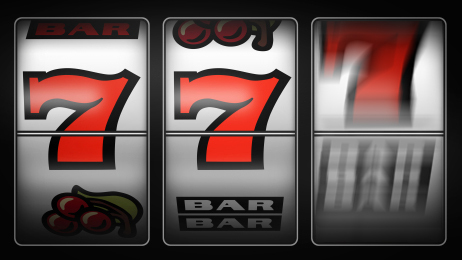 The good news is that getting a good photograph is easier than striking triple ‘7’s in jackpot. The difference is that it’s possible to control some, if not most of the variables that make a good photograph, but not the reels on the slot machine. Your chances of striking a jackpot is very much higher when you’re just waiting for the third cherry on the last spinning reel, compared to waiting for three cherries to line up from three still-spinning reels, right? The trick is then to turn as many of these variables into constants as possible, and to wait for those variables that we can’t control to fall into place. Translate all these theory into the portrait that we talked about above, we could easily turn two of the variables (framing and background) into constants if we lock down our camera on a tripod and get our subject to stay in position. Then we’ll only be left with getting the expression and lighting right. Consider if we don’t lock down the frame and background, we could very well end up with a shot with the right light and expression, but a crop that’s too tight or background that is too distracting for our taste. Although we can’t exactly control the light outdoors (not without extra equipment at least), we could choose to maximise the chances of getting the kind of light we want for our portraits by choosing the time of the day we shoot in. I like warm glow and directional lighting in my outdoor portraits, so I’d choose to shoot in the golden hours of the day (that’s about 7-8.30am and 4.30-6.30pm here in Singapore) rather than in the harsh midday sun where more likely than not, the eyes of my subjects will end up in dark shadows due to the overhead sun. 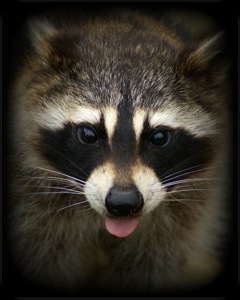 If however you happen to like the eyes of racoons, you’d choose to shoot at 12 noon to maximise the chances of having your subject’s eyes in shadows. With outdoor portraiture, there is no guarantee that you’ll get the kind of light you’re looking for, but at least you can make a conscious effort to control the variable and maximise your chances. If the light is right, then we’re just left with getting the expression we want. And that is the variable that we might have to take a few tries before we strike our jackpot. But just like the fickle sunlight, we could do our part as photographers to maximise the chances of getting the expression we want, by anticipating and pre-focusing so we don’t lose the moment when the expression presents itself.